Purchasing a house: How could your health be affected? Purchasing a house is exciting, but can also be daunting. From selecting the perfect neighborhood in a good school district to finding the right size home for your family, there is a lot to consider before diving in. It’s important to know what to look out for as you search a place to live, including warning signs and hazards that could turn your dream home into a nightmare. Whether you’re a first-time buyer or not, it’s a good idea to familiarize yourself with some of the fungi and toxins that may be present. Aspects of the house, including when it was built and where it’s located, will have an effect on this. Although there is a lot to contemplate, ensuring the health of your future home could have a profound effect on your own health down the line. Mold is a fungus that grows best in warm, damp environments and could lead to a variety of health issues. Although some people are more prone to show symptoms of mold exposure than others, it’s smart to be aware of its existence in the home. Symptoms of mold exposure range from congestion and coughing to a sore throat, and often mimic that of a cold. 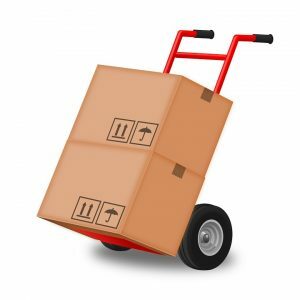 You may feel tempted to move your office to its new location by yourself, but you can make the entire process simpler and easier by employing a removalist company. Here are five ways that hiring movers to relocate your office will simplify the process and save yourself endless amounts of hassle. Is it more difficult to purchase property if I have ILR? Buying a home can be an extremely stressful and time consuming feat to overcome, with all of the financial credit checks and hoops you have to jump through, but if you have only just been granted citizenship, does this mean that it can be even harder for you to buy a home? Obtaining a mortgage as a foreigner is something that is scarcely discussed, but as more and more people choose to settle in the UK, it’s important to explore all of the options and to make sure that everything is made clear throughout the process. The process comes down to two deciding factors – whether or not you are a UK national, and how long you have lived and worked in the UK for. While moving from your old house to new one, you may come along different experiences and problems and would probably have no idea on how to tackle with these problems efficiently. If you are not experienced before for moving your house, then you may definitely face more trouble as compared to experienced people. Planning is the only way you can reduce the problems while shifting to a new place. If you get to search well before shifting to a new place, then it may reduce your problems to some extent and would smoother your shifting process.